This tropical themed combo will be a hit at your next party! 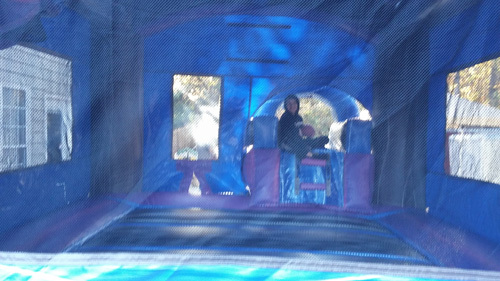 It features a jumping area, slide with safety stopper, and basketball hoop inside for extra fun. 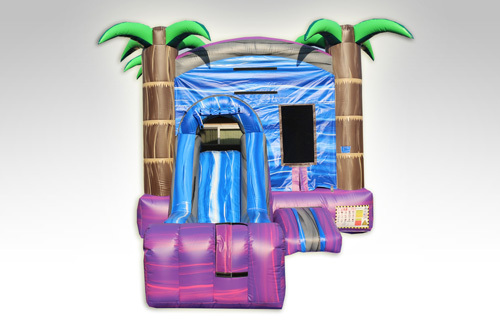 **Note - the Tropical Crush Jr combo can also be used with water, for an additional fee. Please visit our Water Slides page for pricing and more information.